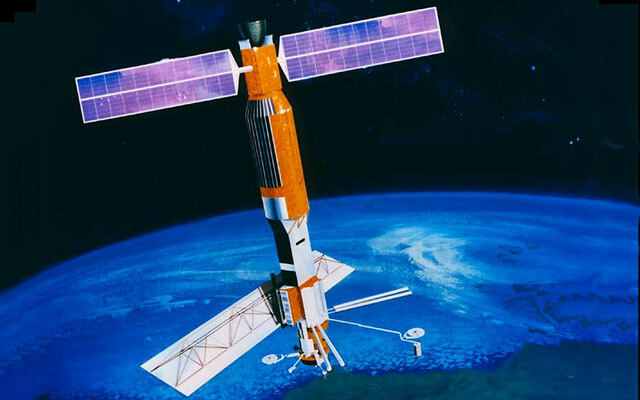 Seasat was the first Earth-orbiting satellite specifically designed and tasked for the remote sensing of Earth’s oceans. Through NASA sponsorship, JPL managed and operated Seasat, which was launched on 28 June 1978. Seasat carried a payload of five scientific instruments that enabled measurements of sea surface wind velocity, land and sea surface topography, ocean surface salinity, ocean surface gravity waves, land and sea ice, and sea surface temperature. Seasat was in continuous operation for 106 days and served as the precursor to many of NASA’s later missions including Nimbus-7, TOPEX/Poseidon, NSCAT, QuikSCAT, Jason-1, OSTM/Jason-2, and the SARs which flew aboard NASA’s many Space Shuttle missions.